YOU WENT FULL NEO-CONFEDERATE, MAN. 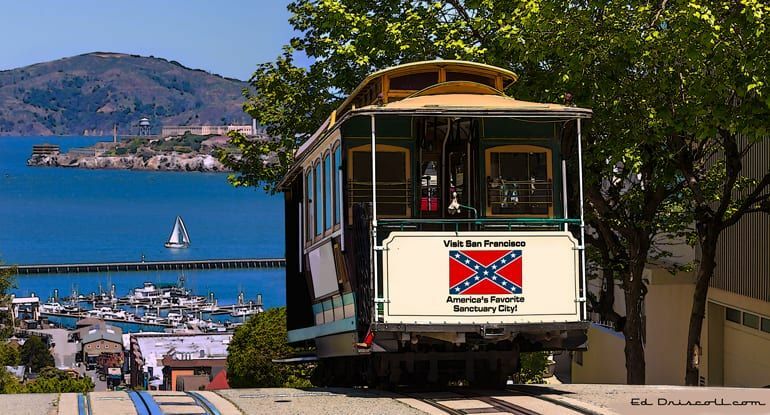 NEVER GO FULL NEO-CONFEDERATE: Should California secede? How the state is politically out-of-step with the rest of the country, Michael Hiltzik, the far left LA Times columnist claims. What is it with Democrats always wanting to secede after losing a major round in the culture wars? But in any case, Victor Davis Hanson’s next column should write itself.